In May and June of this year, JeanPaul Paula and Florian Joahn travelled to Brazil to experience the São Paulo LGBTQ Pride Parade 2018 and Milkshake Festival originating from Amsterdam. LGBTQ stands for ‘lesbian, gay, bisexual, transgender, queer’. Although the São Paulo Pride is the world’s biggest gay pride parade, a recent study showed that the number of LGBTQ deaths as a result of violence reached a peak in Brazil last year. At least 445 LGBTQ Brazilians were killed in 2017 as a result of homophobia, says the LGBTQ human rights movements Grupo Gay da Bahia. Paula and Joahn met various people in São Paulo’s LGBTQ community, whom they styled and photographed on the roof of the apartment where they were staying. Despite their often insecure existence, the resulting portraits show, above all, their strength and unique self-expression. According to JeanPaul Paula, these people hardly needed any styling at all. These portraits have been combined with studio portraits of both leading LGBTQ performers like Richie Shazam Khan and Linn da Quebrada and inspiring people from their own environment. 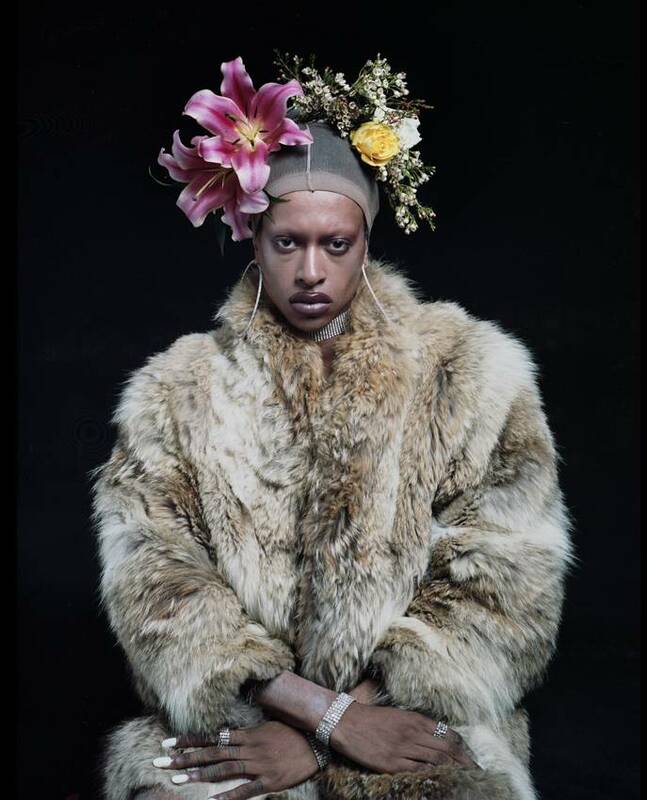 This portrait of drag queen TAYCE wearing a fur coat and a flower garland, is an ode to Marsha P. Johnson (1945-1992, USA). She was an American LGBTQ rights activist, drag queen and transgender who stood at the cradle of the first gay pride parades in 1970. Through their work, JeanPaul Paula and Florian Joahn make it clear that the Pride is more than a merry parade – it is still a symbol of a worldwide struggle for equal rights for everyone, irrespective of gender, sexual preference, or gender and identity expression. The exhibition Y'all Better Quiet Down was on view in August 2018. JeanPaul Paula (1986, Curaçao) has been fashion director for Mykromag and WAD Magazine, amongst other positions, and now works as a stylist and creative director. Florian Joahn (1990, Germany) studied audio visual arts at the Gerrit Rietveld Academie in Amsterdam and now lives and works in London as an art director and photographer. Paula and Joahn regularly collaborate as a creative duo. In 2017, their joint project This. My Body. was part of the group exhibition Magical Mystery Tour in Kunstlinie Almere Flevoland (KAF). The print will be carefully wrapped and send as an insured package. You will receive an e-mail with a Track & Trace code when the package is on its way. A framed version is often on display at Foam Editions, the gallery on the third floor of Foam Fotografiemuseum.